This maquette of the Angel of the North sculpture by Antony Gormley is located in the grounds of Canberra’s National Gallery of Australia’s sculpture Garden and is an evocative vista. The cast iron maquette stands elevated on a pedestal with its back towards Lake Burley Griffin and is located opposite the National Carillon. The sculpture evokes a sense of stark industrialism and mystery; a faceless angel with its ‘monoplane’ wing outstretched. 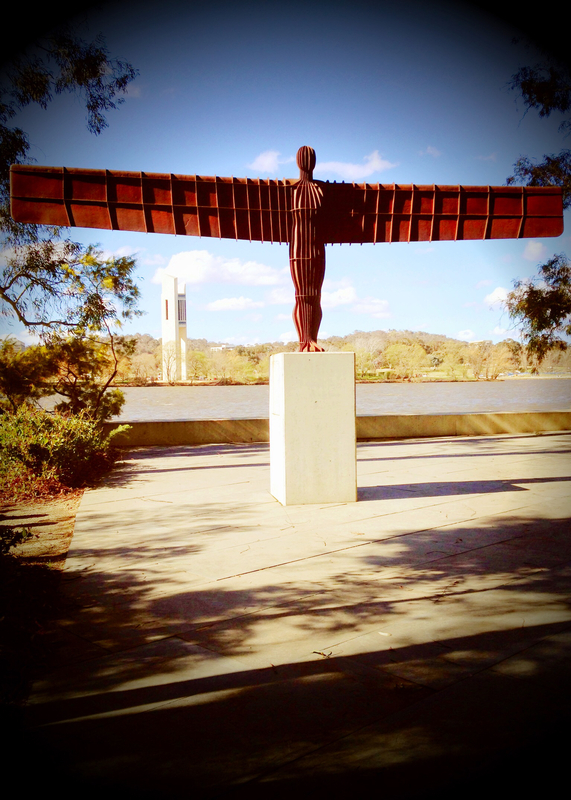 The angel’s wings are angled forward to provide a ‘sense of embrace’. Several maquettes were produced, one of which was gifted to the National Gallery of Australia in 2009. 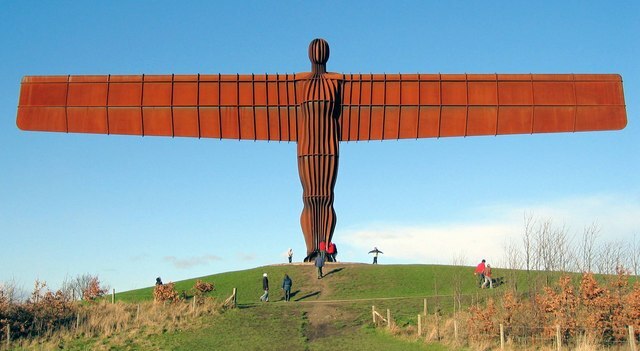 The steel sculpture (below) on which this maquette is derived was produced between 1994-1998 and is located in the north of England and is 20 metres tall with a wingspan of 54 metres across. It is located on the site of an old colliery. Photo: Andrew Curtis – From geograph.org.uk. Licensed under CC BY-SA 2.0 via Wikimedia Commons.